Tend to forget what's on your pocket calendar? 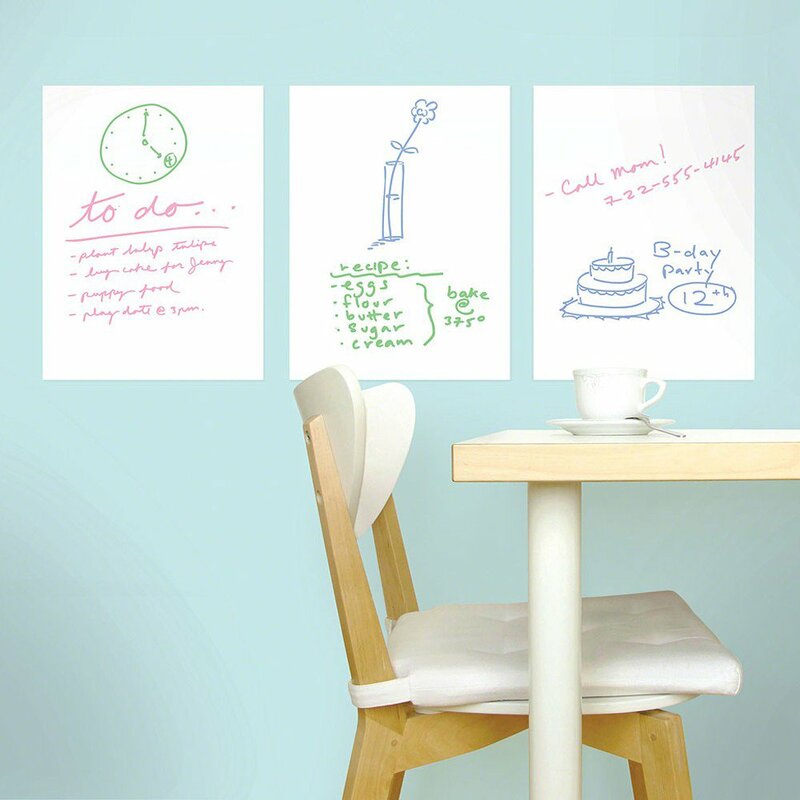 Use mini dry erase decals to display ideas, deadlines and to-dos… with room for details! Simply peel and stick to add instant functional style to kitchens, hallways, dorm rooms and home offices. 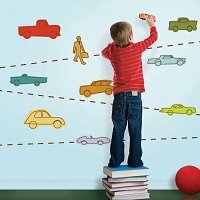 Arrange and rearrange these whiteboard wall decals separately or together. Scribble, sketch, erase, repeat. Each whiteboard sticker is removable, reusable and safe for wall surfaces. 3 dry erase decals (9" w x 12" h each). Pens not included.